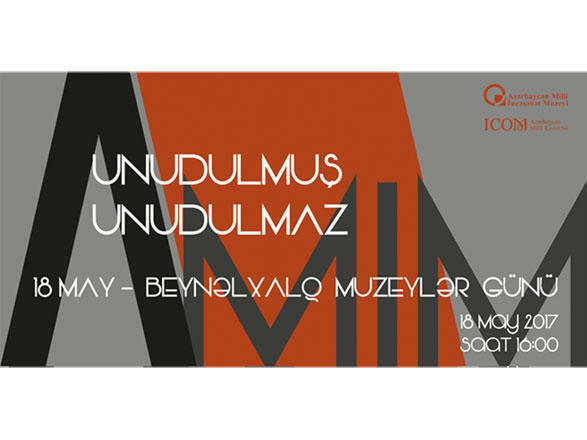 Azerbaijan's National Art Museum will open its doors to a new exhibition on May 18. The exhibition will honor the victims of the "Political repression in the Soviet Union in 1920-1950". The exhibition titled "The forgotten will not be forgotten" will be held as part of the International Museum Day. The theme chosen for 2017 is "Museums and contested histories: Saying the unspeakable in museums". The guests will remember those who fell victim to state-executed repressions, such as mass deportations and imprisonment in forced labor camps. The repression left a deep mark on the fate of millions of people, who lived during the terrible Stalinist repression. More than 50,000 people were killed, and another 100,000 members of the intelligentsia, art, culture and religious figures, scientists, writers, teachers, living on the territory of Azerbaijan, were sent into exile in Siberia, Kazakhstan, etc. The forthcoming exhibition will feature works of artists, who were sent into exile - Alekper Rzakuliyev (1903-1974), Hasan Haqverdiyev (1907-1978), as well as victims of retaliation for "anti-Soviet activity" of their parents - Vidadi Narimanbekov (1926-2001), Toghrul Narimanbekov (1930-2013), Oktay Sadigzade (1921-2014), Toghrul Sadigzade (1926-1995), Tahir Salahov (1928).